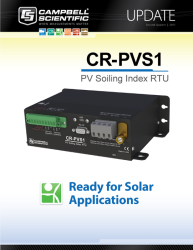 When the new accessory (pn 32788) is purchased on the same sales order as the ENC8/10 enclosure, Campbell Scientific will mount a 5 W solar panel onto the enclosure lid, and route its cable through a cable-entry seal that's been added to the lid. 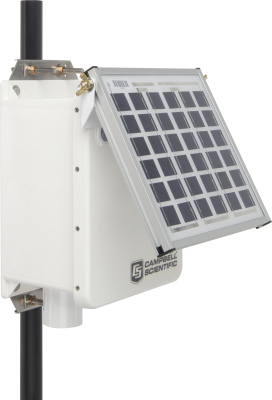 An adjustable bracket allows the solar panel to be placed at the optimal angle for receiving maximum insolation. A solar panel installed onto an enclosure lid saves mounting space.